5) Mortgage rates plummeted to record lows. It may be hard to believe that 30 years ago the rate for a 30-year fixed home loan was in the double digits, between 13 percent to almost 18 percent. Now? It’s fallen below 4 percent, based on numbers from mortgage giant Freddie Mac. In fact, both the 30-year and 15-year rate in November dropped to their lowest levels in 41 years. Since then, neither have strayed too far from their all-time lows of 3.31 percent for the 30-year and 2.63 percent for the 15-year. Rates have consistently fallen throughout the year but received an extra downward push after the Federal Reserve said in September it would buy mortgage-backed securities to give the U.S. economy a lift. The plan is meant to keep long-term interest rates and mortgage rates down so more folks can buy homes and refinance their mortgages. 4) A $25 billion mortgage settlement pushes banks to help consumers. California Attorney General Kamala Harris and housing advocates called the deal between 49 states and five major lenders a historic deal that finally holds accountable the companies that have long been accused of wrongfully foreclosing on homes and failing to help property owners. Opponents say the effort was too little, too late, and a raw deal for consumers because the relief amount, when broken down by harmed homeowner, was minor. Critics of the mortgage settlement also point out that many states, including California, used part of their money to fix their budgets. Not quite the intended use. Still, banks have provided help to homeowners through the settlement. On the flip side, about two-thirds of that aid has been in the form of short sales, which some housing advocates argue is less desirable than a loan modification or other means of keeping the borrower in the home. 3) Speaking of short sales, they now make up a larger share of the housing market than foreclosure resales. Fewer homeowners are facing foreclosure, a result of a slightly improving economy and more alternatives such as loan modifications and short sales, deals where homeowners can sell their homes for less than what they owe as long as the lender says OK. In November, mortgage defaults sank to a 6-year low and foreclosures decreased 35 percent from the same time a year ago. Also, the mortgage settlement appears to have contributed to somewhat of a short sale frenzy. Almost 40,000 of them were completed in the state through the settlement, from February to November. Short sales not only can benefit consumers, they also benefit lenders because they tend to be less costly to complete compared to foreclosures, which take longer to process. 2) Housing inventory is super tight. If you’re a buyer, especially someone who’s not an investor, you may be facing slim pickings out there. It’s not just in your head. There are about 5,300 active listings in San Diego County, half of what we saw just a year ago and the lowest level in at least three years, according to the local Realtors’ group. Inventory has consistently fallen for the last 15 months and may keep dropping if consumer demand remains strong and would-be sellers stay on the sidelines. Why aren’t folks listing their homes? Many are underwater on their mortgages and are waiting for prices to rise more. 1) Home prices and sales have stayed hot through the fall and winter. The median price for a home sold in November was $358,000, almost 14 percent higher than a year ago. And the number of transactions reached a seven-year high for a November. Keep in mind, that happened during a fall month, when homebuying typically cools down. 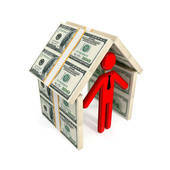 The demand for homes remains strong especially among the investor crowd. That, coupled with limited inventory, has pushed prices up. This is not-so-great news for potential buyers. And possibly good news for potential sellers.